Shipped from UK, please allow 10 to 21 business days for arrival. 625 pages. There is a name inscribed in the top right of front free end paper.Light wear.Binding tight and square, contents clean and unmarked. Eric Trist, Professor Emeritus of the Wharton School, University of Pennsylvania, was a founding member of the Tavistock Institute of Human Relations in London, and became internationally known as the "Father" of socio-technical systems in the further development of which his Australian colleague, Fred Emery, has taken the leading role. In the late 1960s he partnered Russell Ackoff in building the Social Systems Sciences Department then at the Wharton School. He is the principal author of Organizational Choice: Capabilities of Groups at the Coal Face Under Changing Technologies. Hugh Murray is a Fellow of the British Psychological Society and a senior staff member at the Tavistock Institute. He began working with Trist during World War II and is a co-author of Organizational Choice. 1. 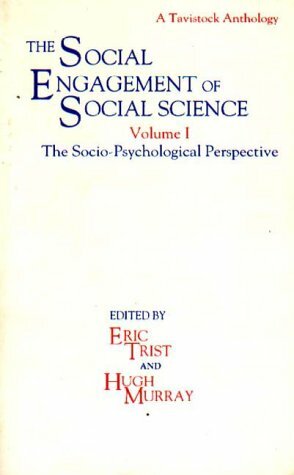 Social Engagement of Social Science (Social Engagement of Social Science, a Tavistock Anthology) (v.
2. Social Engagement of Social Science (Social Engagement of Social Science, a Tavistock Anthology) (v.